Oktoberfest celebrations still oompah-ing their way through the calendar month, right there next to area beerfests and other special beer events. From the "biggest" beerfest in Florida happening in Miami to new brewery openings/Grand Openings to brewery anniversaries to Florida-Georgia weekend to Halloween, the next three weekends will see the suds flow. So far, it's been an "interesting" month, to say the least. Hurricane Matthew decided to take a daytrip along Florida's east coast late last week leaving behind a huge amount of damage, especially here in the North Florida area. Hopefully, most of those affected are on the recovery path (including the return of that taken-for-granted thing called electricity). Even the craft beer world was affected as several beerfests and other events already set in place for months were cancelled and/or rescheduled (take a look at the "Making Headlines" page). This writer's calendar included attending several events and/or other visits during the first weeks of October that didn't happen, but it's good to see the positive efforts toward repair and rebuilding. Back to beer! The annual mega-beer-event known as GABF also happened last weekend. I was perched at my laptop early Saturday afternoon watching as the medal winners were announced via live stream, anticipating medals coming back to Florida again this year. If you haven't made the trek to Denver for GABF, I have one word for you: GO! And then maybe two words: GO AGAIN! Take a look at my GABF story and mark your 2017 calendars for October 5-7. Huge Congrats to Coppertail Brewing (Tampa) for its Silver Medal in the Field Beer category for Slam Piece Berliner Weisse, and to Red Cypress Brewery (Orlando) for its Silver Medal for Deep Roots Amber in the German Altbier category! 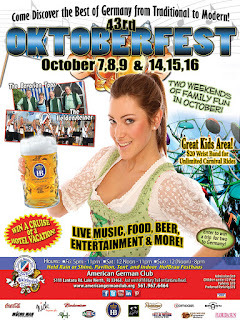 AMERICAN GERMAN CLUB OF THE PALM BEACHES 43RD ANNUAL OKTOBERFEST, Lake Worth. Two weekends of family fun with music, German food, dancing, games. Considered to be the second largest Oktoberfest celebration in the US - held on ten acres in a pavilion and under a massive tent. Biergarten, authentic German food and desserts, Original Hofbräu beer, domestic beers, Schnapps booth with over 30 different liquors, Jägerhaus with Jäger specials, vendors, carnival. Fest expects over 35,000 visitors! Fridays, 10/7 & 10/14, 5-11pm; Saturdays, 10/8 & 10/15, 12-11pm; Sundays, 10/9 & 10/16, 12-8pm. 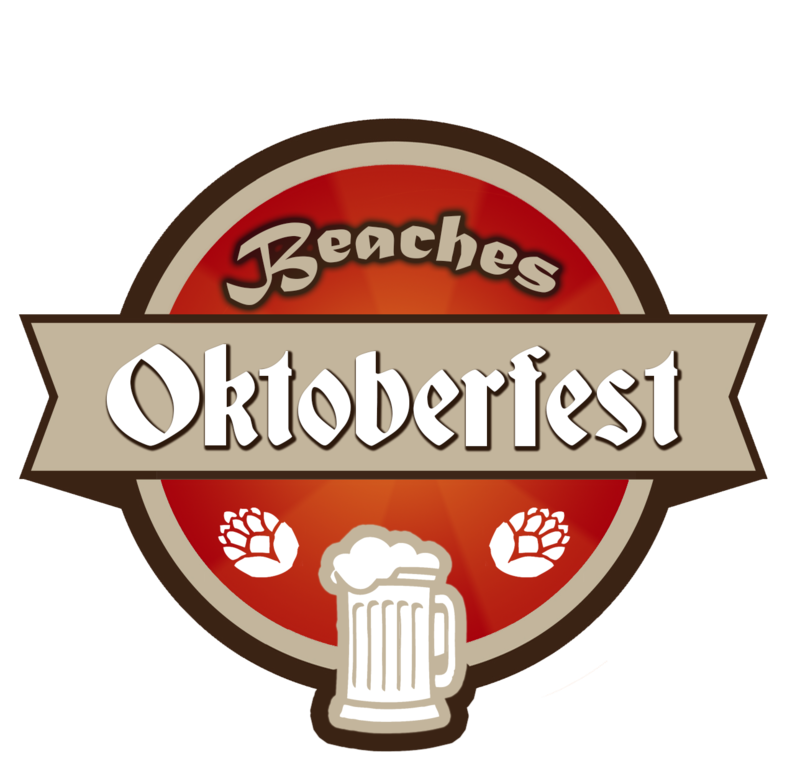 BEACHES OKTOBERFEST, Seawalk Pavilion, Jax Beach. 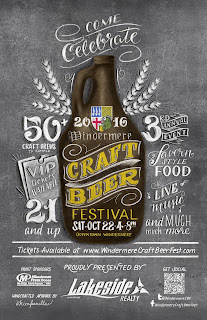 All weekend, with CraftToberfest beer fest on Friday night, 6-10pm, featuring over 50 breweries. German beers, food trucks, live bands. Huge 110 ft. Ferris Wheel, Kinderzone. 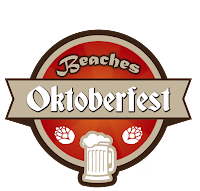 Tickets available on the Beaches Oktoberfest website. 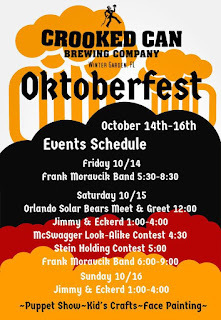 OKTOBERFEST WEEKEND at CROOKED CAN BREWING, Winter Garden. An entire weekend of music, arts & crafts, food vendors, and...a beer garden! Starts Friday 10/14 at 4pm, til 11pm. Saturday 10/15: 11am-11pm. Sunday 10/16: 12-6pm. 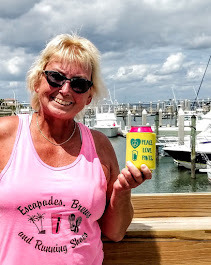 BAYTOWNE WHARF BEER FEST at SANDESTIN. 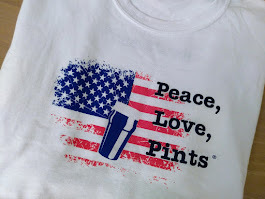 Ninth Annual beer fest; 2-day event. Over 200 beers at main event on Saturday. 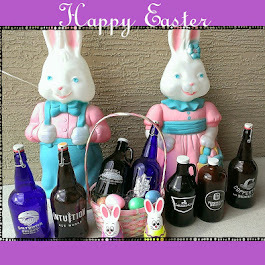 Friday, 6-8pm: Beer from Around Here at Baytowne Wharf Events Plaza. Saturday, 2-6pm (VIP at 1pm): Beerfest and tasting at Baytowne Wharf Events Plaza. More than 40 breweries. Tickets on sale soon at this LINK. Friday event is free to enter! 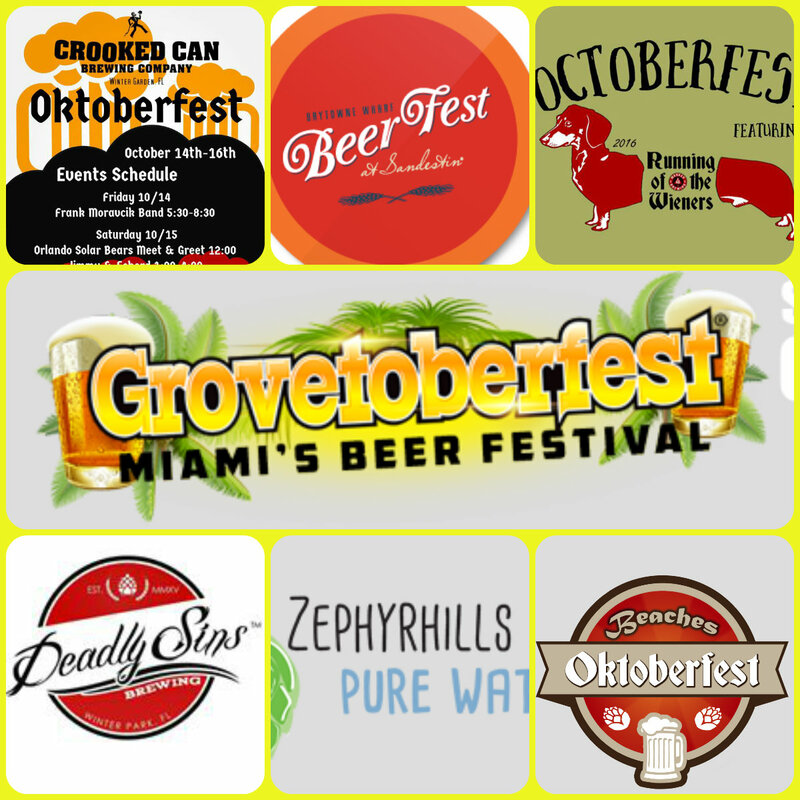 10/15: NEWS: THE VIP TICKETS FOR THE GROVETOBERFEST 2:30pm ENTRY TIME ARE SOLD OUT! LIMITED TICKETS REMAIN FOR THE 3pm EARLY ENTRY. 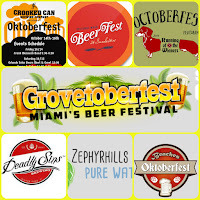 GROVETOBERFEST, Miami Marine Stadium, Key Biscayne, 2:30-7pm (VIP and General Admission). Limited to 6500 tickets. Yeah, it's a big one! Billed as the biggest beerfest in Florida. Different ticket options, including early entry. New venue this year. As the fest explains: The new location allows for more room and easier parking. Other aspects of the festival include the VIP Lounge, which will be hosted by Chef M from Latin House Grill. In addition, it will offer certain perks not available to the general ticket holder such as specialty brews, covered seating area and air-conditioned bathrooms. 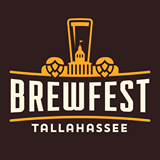 The Homebrew Pavilion will showcase special brews made by passionate beer drinkers; the Food Row will offer food for purchase and the Kitchen Lab will feature beer/food pairing demonstrations by local chefs such as Ryan Martin from 180° at the DRB, and Zeke Man from 305 Brews. As usual, a Live Music Stage will feature dance-inducing music throughout the entire day. Get tickets in the link above. OCTOBERFEST at MARKER 48 BREWING, Brooksville, 12noon - midnight. 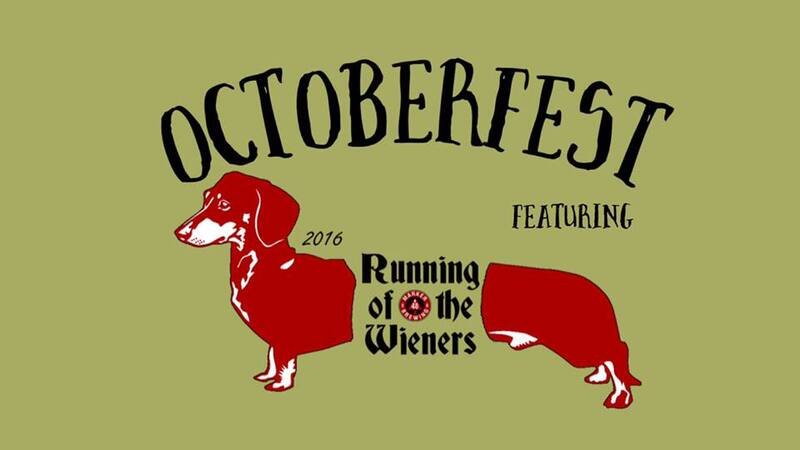 Featuring German food, food trucks, German beer, wine, pumpkin patch, pumpkin carving station, costume contests. Dog races benefitting Humane Society starting at 2pm. 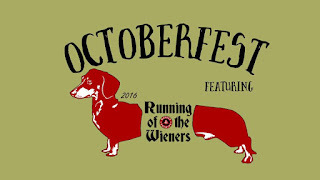 And, also featuring Wiener Dog Race, at 4pm. DJ and live music all day. 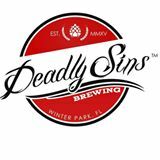 DEADLY SINS BREWING, Grand Opening Celebration, 12pm, Winter Park (Orlando area). They've had equipment delays, but they've been brewing! Since July, the brewery has been serving guest beers on tap. On October 15, they'll open with their own beer on tap! Food, music, and, well, yeah, BEER! ZEPHYRHILLS BREWING CO. Grand Opening, 12-10pm. New local nano in Zephyrhills. They'll be brewing a variety of beer styles. Help 'em celebrate! OKTOBERFEST at HILTON WEST PALM BEACH, 3-7pm. 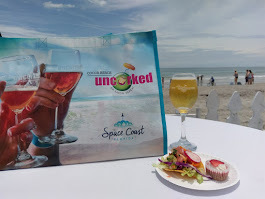 Unlimited beer tastings from South Florida brewery favorites. A la carte food options. Music, games, food specials. 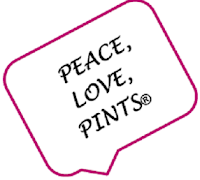 Portionof proceeds benefits American Cancer Society's Making Strides for Breast Cancer. Tickets here. BURGERS & BREWS Gourmet burgers and craft beer pairings at Hemming Park, Jacksonville, 6-8pm. 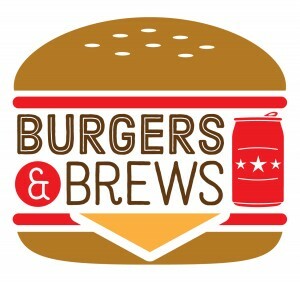 Second annual event where five local restaurants and five area breweries pair sliders and beers. Vote for your favorite pairing and see who will win the "Best Pairing" award. See link for tickets ($40) and pairing partners. Benefits Friends of Hemming Park. 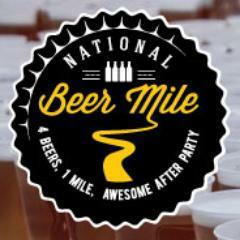 SPECIAL OFFER: Use code BREWNYMPH5OFF and get $5 off your ticket. 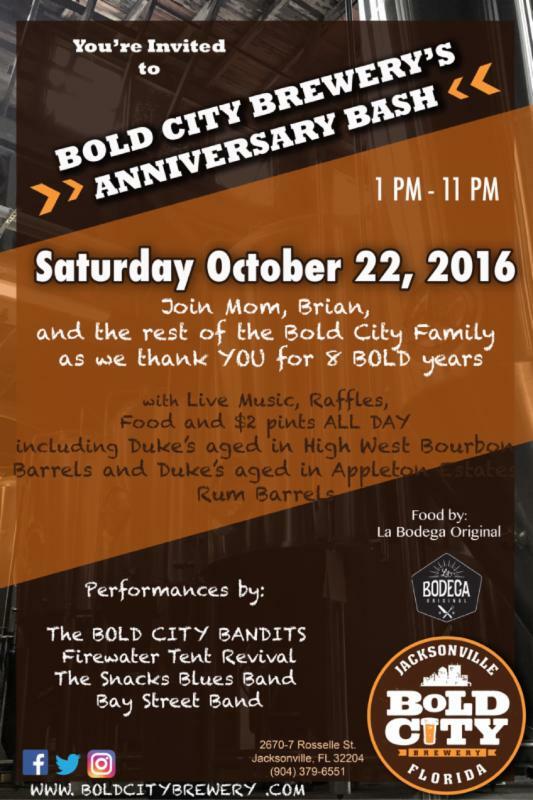 BOLD CITY BREWERY 8th ANNIVERSARY, Jacksonville, 1pm-11pm. Get ready for another epic anniversary party, featuring music, food, raffles, special beers! Taplist includes: Appleton Estate Rum Barrel Aged Dukes Cold Nose Brown Ale, Highwest Bourbon Barrel Aged Dukes Cold Nose Brown Ale. Music featuring The Bold City Bandits, Firewater Tent Revival, The Snacks Blues Band, Bay Street Band. Food from La Bodega. Want more? How about$2 pints? And, free shuttle between Bold City Brewery and European Street Cafe, Riverside (and its Oktoberfest party; see below) between 2-6pm! 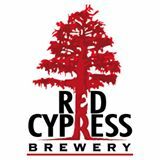 HOUSE BEER RELEASE PARTY AT WICKED BARLEY BREWING COMPANY, Jacksonville, 11am-11pm. 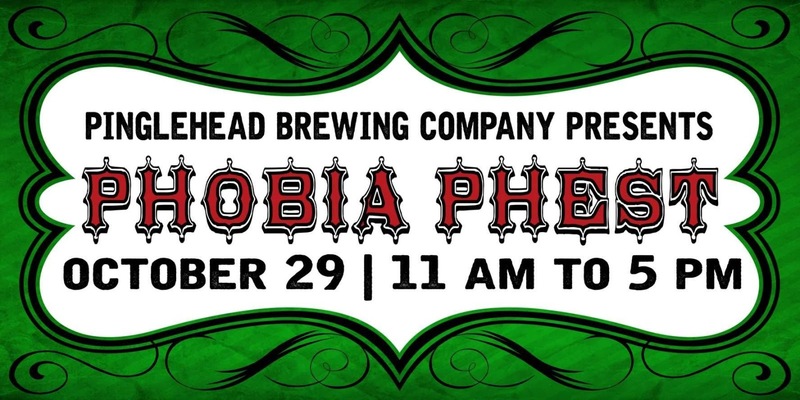 You've waited for it, Jacksonville, and now here it is: The official release of the house brews at Wicked Barley! They're planning on 10 taps of house beers, AND their own cider and mead, PLUS: firkins during the day, sausage grill, food specials, AND cans of Drink Me Copper Pale Ale and Left Leg Lager available to-go. Check it out! Haven't been to Wicked Barley yet? Take a look at the previous stories and photos right here on this site! 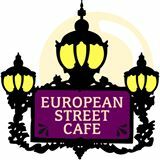 OKTOBERFEST at EUROPEAN STREET CAFE, 11am-9pm, Riverside, Jax. Be one of the first 50 to by a beer ticket, and get a Warsteiner boot! 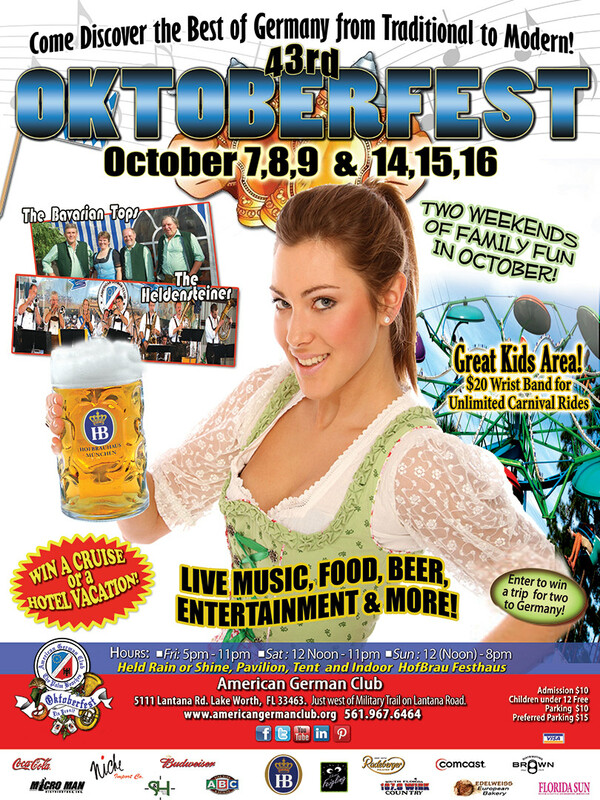 Oompah band, Oktoberfest beers, pretzels, brats. Wear a dirndl or lederhosen, and they'll buy your first beer! 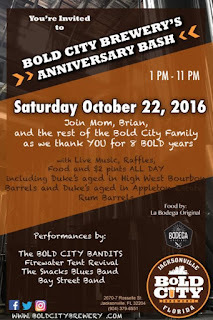 And, free shuttle between E-Street Riverside and Bold City Brewery 2-6pm for Bold City's Anniversary Party (see above). 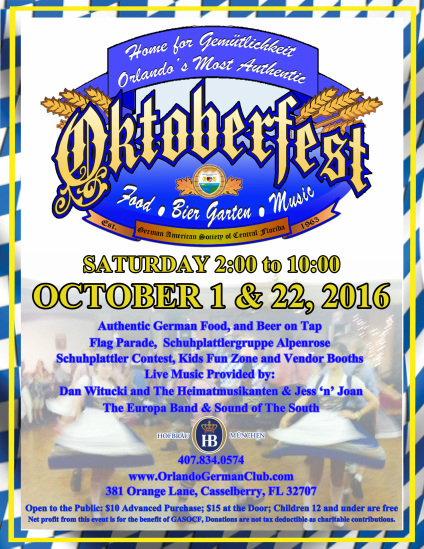 "MOST AUTHENTIC OKTOBERFEST IN CENTRAL FLORIDA", German American Society of Central Florida, Casselberry, 2pm-10pm. German bands, German bier, German food, German dancers, all in a Bavarian biergarten! BREWFEST! TALLAHASSEE (10th Anniversary), Auto Museum, Tallahassee, 4-8pm (VIP at 4-5pm; general admission at 5pm). Presented by Sunrise Rotary. I've been to this one, too -- It can get pretty wild. Indoor and outdoor, food trucks, music, and lots of beer! No tickets at gate, and it WILL sell out...so get 'em early! HARBINGER FEST 2016 at BREW HUB, Lakeland, 1-6pm (VIP at 12 noon). Second annual beer fest featuring local breweries, music, food at the spectacular Brew Hub campus along I-4 (you know the one: the huge facility with all the bottle caps on the front!). Over 100 beers. VIP bottle share. Get tickets in link above. 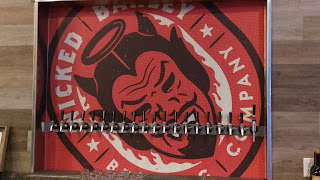 If you're not familiar with BrewHub, check out the story from my initial visit here. 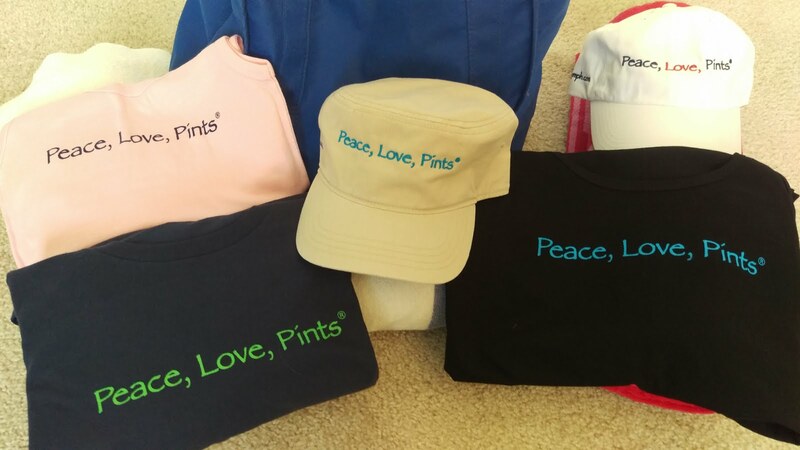 NEW TIMES BROWARD PALM BEACH "ORIGINAL" BEER FEST, CB Smith Park, Pembroke Pines, 2-6pm. Beer samplings, music, games. New location this year. Different ticket options available (see link). Early Bird Entry at 2pm; General Admission at 3pm. South Florida! 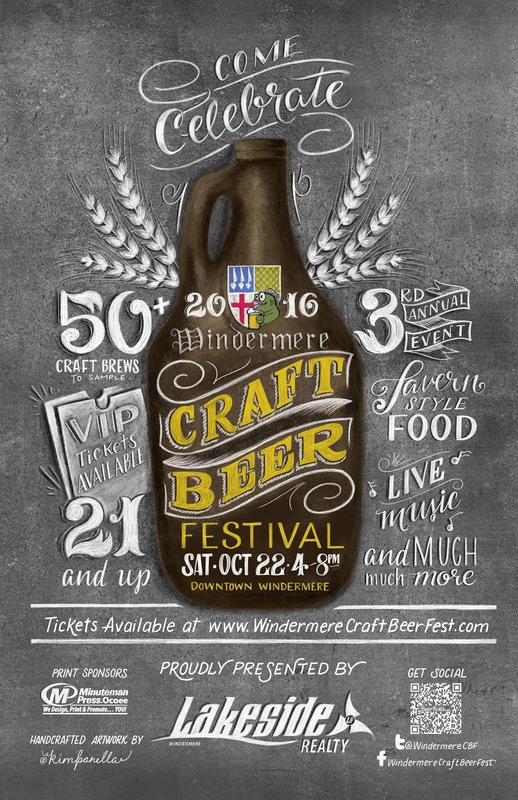 WINDERMERE CRAFT BEER FEST, Downtown Windermere at Main St., 4-8pm. Beer samplings, food vendors, music. VIP tickets include specialty beer tent. Benefits Windermere Police and Florida Brewers Guild. Get tickets in link. 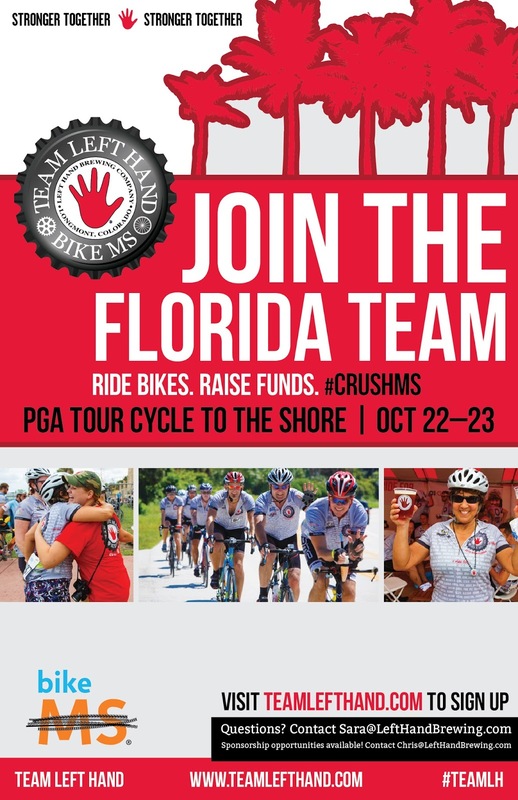 TEAM LEFT HAND: PGA TOUR CYCLE TO THE SHORE RIDE, Ponte Vedra to Daytona. 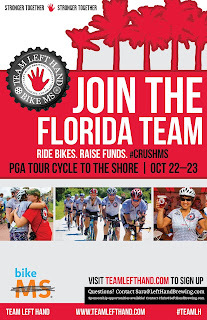 Join TEAM LEFT HAND FLORIDA on this fundraiser bike ride to Daytona along scenic Highway A1A!!! Help to CRUSH MS. SIGN UP BY JULY 27!!!! 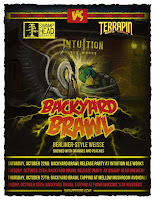 TAPPING OF COLLABORATION BEER "BACKYARD BRAWL" at INTUITION ALE WORKS, Jacksonville, 11am. 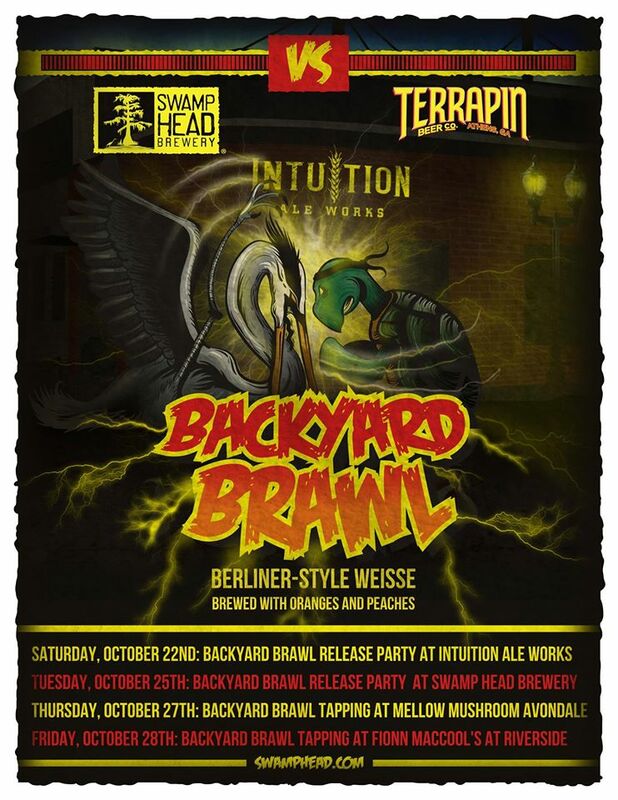 Swamp Head Brewery (Gainesville) and Terrapin Beer Co. (Athens GA) got together at Intuition to brew up a Berliner Weisse, and it will be tapped at Intuition the week before the UF vs UGA game (see below). Bottle release at 11am; bombers for $12; limit 2. Also, tapping at Swamp Head on 10/24, then at Mellow Mushroom Avondale on 10/27 and at Fionn MacCool's on 10/28. And, see below for info on the ticketed party at Intuition on GameDay! FLORIDA-GEORGIA VIEWING PARTY at INTUITION ALE WORKS, Jacksonville. Ticketed event, includes commemorative mug (4 oz. additional beer on pours! ); unlimited bar bites from Black Sheep at Intuition, with bratwurst, burgers, chicken and more. Get tickets here. Otherwise, you can stop by for a beer in the outdoor tailgate party with Manifest Distilling. Live music. 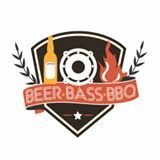 BEER, BASS & BBQ FEST at Hemming Park, downtown Jax, starting at 4pm Friday, 10/28. Featuring old school bass hip hop and EDM music, plus vendors with BBQ and craft beer. Coincides with Florida-Georgia Weekend (or is that Georgia-Florida?). More info tba. 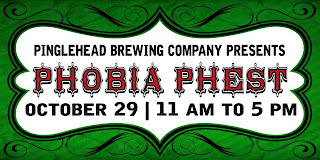 PHOBIA PHEST at BREWER'S PIZZA and PINGLEHEAD BREWING COMPANY, Orange Park (Jax), 11am-5pm. Sounds frightening. Coincides with Halloween festivities. Food, music, and, uh...Pinglehead beer. Beware that clown, though. More info tba. 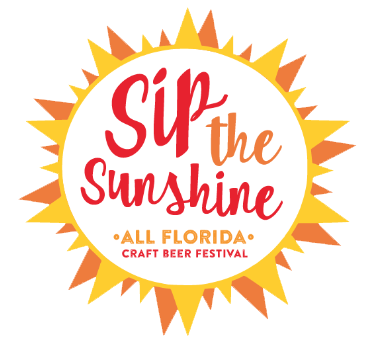 SIP THE SUNSHINE All-Florida Craft Beer Fest, Nathan Benderson Park, Sarasota, 12-4pm (VIP at noon; General Admission at 1pm). Followed by Concert 5-9pm. Benefits Beer/Science course at USF. Tickets in link. 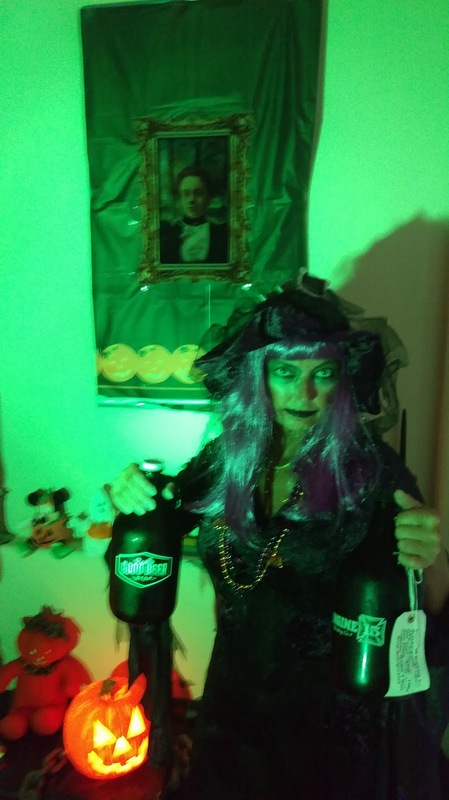 THREE YEARS OF BEER AND GHOULISH ANNIVERSARY PARTY at PAIR O'DICE BREWING, Clearwater, 1-11pm. It's an anniversary party for Halloween! Special beer releases, along with some re-releases. Costume contest. Pizza. Take a look at the story from my visit here. 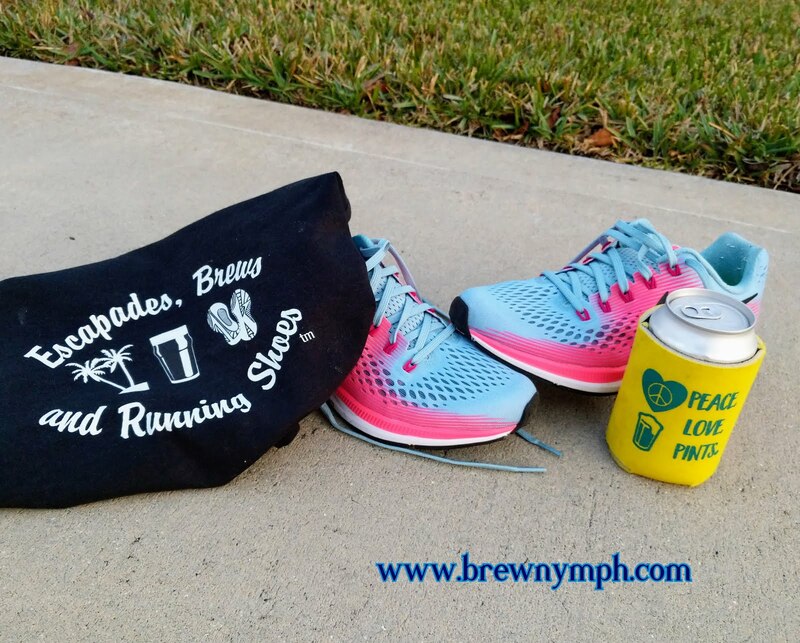 If you are a Florida brewery, charity, resort, restaurant or bar that has a special event, let me know about it by email, brewnymph@gmail.com, or through the contact box in the sidebar. Mail by covered wagon won't do, and I respond to emails very quickly. 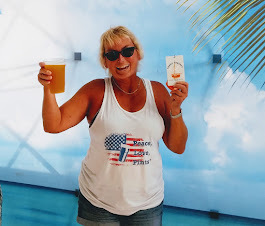 I'll see you at a beer event around Florida soon ... very soon! Be sure to stop and say Hi. I might want a photo, but that's about the worst that can happen to you.